As of this year, September 27th will always be a memorable day. The funny thing about it is, this is not about something that happened yesterday. It is something that came up in August. I wanted to share it then, but I decided to wait. I am currently reading through a One-Year Bible. I have written before about why I am doing (with a follow-up) this and some of what I have been learning. This is going to be about something awesome that happened while reading one morning last month. I started my quest to read the Bible through in a year after reading the book Radical by David Platt. This was one of the challenges given at the end of the book. My journey with my One Year Bible began in March of this year. I tried to pace myself and stick to the once-a-day readings and not try to play “catch up” for the sake of getting up-t0-date. However, after a while I found myself wanting to read more. Some days I would find extra time and do extra readings. The more I read, the more I wanted to read. Eventually I did catch up to where I was supposed to be (as far as the date in the One Year Bible). I kept on just letting myself be led to read extra when I can. Eventually I got pretty far ahead of the dates given in the Bible. 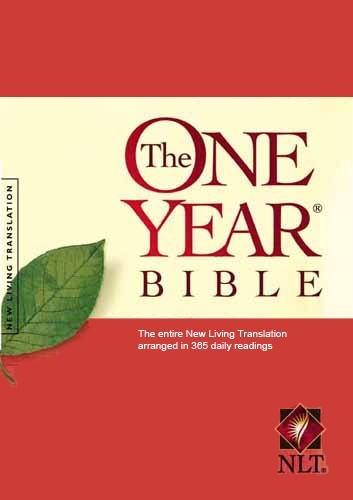 By the way, if you are unfamiliar with how a One Year Bible works. each day is given a passage from the Old Testament, New Testament, Psalms, and Proverbs. I believe you actually wind up reading through the Psalms twice. There is not an attempt to line any of these up, they just break it into passages to read through each book by book (or Pslam/Proverb by Psalm/Proverb). As I have been reading, I have been blown away by how well the Old and New Testaments (and Psalms) weave together. It really is one story…the story of God’s relentless love, mercy, and grace. If you haven’t ever read the Bible cover to cover, I highly recommend you give it a try. It is completely changing my view of God, others, how I treat others, and myself. I would like to leave you with a snippet from the One Year Bible. This completely humbled me before the awesomeness of God. The daily readings for September 27th (thus the blog post title). If you had any doubt that the Bible is one story inspired by the Holy Spirit, this will help you clear it up a bit. This is the end of the Old Testament passage and the beginning of the New Testament passage. Read through and be amazed. I am serious. It is crazy how connected this seems to be! He shall see the labor of His soul,[e]and be satisfied. How amazing in the Bible?? Hallelujah, what a Savior! Have you ever come across an almost unbelievable connection like this in the Bible? Share it with me. Alright. This one might get some people riled up a bit. It hasn’t been my “blog style” to jump on a soapbox, but this time I need to. A lot of this has been on my heart and mind for a long time. 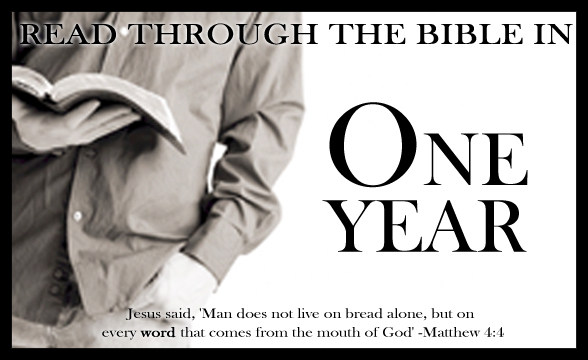 It started in my “older brother days” (for an explanation of what I mean by that, check out my post, My Time Travel Testimony), but it has gotten stronger as I have grown as a Christian…even more now that I am in the process of reading the Bible all the way through. How do I say this nicely? I don’t know if there is a way to do that. Before I just jump in, please know that I know I have three fingers pointing back at me when I point this out…but, to quote Derek Webb, I have already “turned over tables in my own living room.” I am dealing with this with myself, and I want to get it out there for others to think about to. With all of that now said, here we go. As a Christian “culture” it is time to grow up. We really need to mature. We need to get past the “milk of God” and really start to “eat like a man.” I mean, it is time to be done with watered down versions of God, Jesus, the Holy Spirit, and the Bible. I know that most people probably go to great churches where they are fed well in the truth and knowlege of God…but what are we all doing outside of that? Of the four things I mentioned as watered down, I want to focus on the Bible. The Bible is the cornerstone of the Christian faith. Through the Holy Spirit, it is the source of our knowledge of God. It is one of the three pillars that the Spirit uses to grow and disciple us in our faith (the other two being the Spirit speaking to our hearts and speaking to us through other people–i.e. the Church). Most of us have the chruch and even the personal side of the Spirit down, but are we truly seeking God through the Bible? I am not talking about a devotional with scripture at the end. I am not talking about memory verses (though I am not knocking those). I am not even talking about Christian music that is scripturally-based. I am talking about the pure, unadulterated Word of God. God does not really come in Tweet-sized pieces. I am not downgrading Twitter. 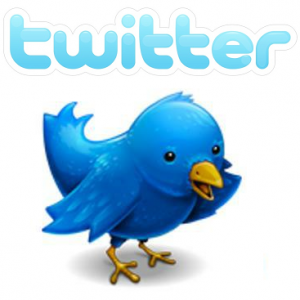 I am just saying that we treat God like he is using Twitter in our approach to the Bible oftentimes in our lives. We want the little pieces. Little shots. But God works as a whole. He is not Twitter, he is more like a thousand page novel (in comparison). Through my life I have met a lot of people who are great at quoting verses. I have heard great sermons based on small pieces of Scripture. I have read awe-inspiring stories based on clips from the Bible. But very rarely have I been challenged to read the Bible from cover to cover and learn who my God really is. When I was in college the first time (long story), I was a Christian Studies major. I was in mostly religious classes. The whole time I was there (all four years), I was only pushed to read the Bible through by one person. Was it my Bible professors? No. My fellow pre-seminary religion majors? Nope. My Christian friends or the Baptist Student Union? No and no. It was my professor from the English classes I took. Dr. Sepko. She put out the challenge to all of the Christian Studies majors in a class I took of hers to read the Bible all the way through. No one in the class had. My point is this, when we are just reading parts and pieces of the Bible, we are missing the fullness of who he is. I have been completely amazed by how susinct the Bible actually is. I will read something in the Old Testament that will tie directly into what I read next in the New Testament. It is so cool. There are themes that start coming out that make God’s character so apparent. You even start to see, through the Old Testament, that Jesus was the plan since the beginning. God is big. God is huge. And he does not fit into twitter-type sound bites. Let me challenge you like Dr. Sepko challenged me (and later David Platt did through Radical). Commit to reading the Bible through. You don’t have to do it in a year. Just commit to starting and finishing. It will change you. I mean really change your entire being and relationship to God. Pray about doing this. Let me give you a few pieces of advice that I learned the hard way. Find a translation that is solid but very readable for you. I am a big fan of the New Living Translation. It gets high marks as a translation and is very, very easy to read. Get a One Year Bible. These Bibles break it down into an easy program to follow with tips on how you can read it or take longer than a year to read it. Pray! Pray through it as you read. The Holy Spirit wrote the Bible, he WILL help you understand it. I promise. You just have to trust him. Read the book, How to Read the Bible for All It’s Worth. This was a game changer for me in how to read the Bible for understanding. When you have questions about something you read, ask somebody. Also, the internet has been a great tool for me as I read. There is a lot of information out there that will help things make more sense. Last, if you are willing to put your money where your mouth is to take this sersiously, get an ereader. Reading the Bible on the ereader has helped me so much. Everything is in one column like a regular book. The font is as big as you want it, and it is easy to read and get immersed in what you are reading. Let me know if you want to take this challenge. I would love to pray for you in this. What do you think? Is this a challenge you would like to take on? Have you already done this? How has it affected your life? Okay, the name of this post was totally just to get your attention. I wasn’t really going to sing the “name game” song with Jesus. I do have boundaries, sometimes. It does, however bring my straight to the point. There is power in a name. Most of you (and myself) would have been completely shocked and appalled if I finished out the phrase with “bo besus.” Admit it, you would have. That is utter disrespect of the name of the one who left heaven, lived on Earth in a human body, suffered on the cross, bore our sins (which he had lived formerly in eternity separated from and did not even take part in while he was here), died, was buried, and the raised from the dead by the power of the Spirit. In our spirit, we know we can’t treat his name that way. There is power in his name. There is holiness in his name. There is an unspoken need to give the name respect, honor, and glory. “Bo besus” would be a slap in the face to all that Jesus’ name calls for. That said, now matter how much power and glory is called for in a name, over use and similar use can detract from the strength of a name. This is what has led to a struggle I have been having and will explain how God, as usual for me, flipped everything around and brought glory back to himself in my life. If you haven’t read My Time Travel Testimony, go read it first and then come back. This all takes place in the time after my timeline-shifting life change. After God showed my that my Christian faith was all in his hands and not the story I thought it was, his love for me drew me closer to him. The same week as my perspective adjustment, I started reading a book by David Platt called Radical (if you haven’t read it, read it, but I warn you it will change your life and your relationship with God) and I started a study through Setting Captives Free called The Lord’s Table (fat or skinny, if you know your relationship with food is out of whack, you need to check this out…it slowly stopped being about me and food and more about me and God). Doing both of these at the same time really did completely transform my mind and change my relationship to God. Both were quite difficult to go through, especially at together, but good. I have not been the same since. The Lord’s Table was a daily look in the spiritual mirror. It really helped me to view Jesus sacrafice and a relationship with him as vital to my every day life. Radical made me question my motives in my daily lives and asked the question, “Am I seeking the American Dream or Jesus?” It made me wonder what I was doing for the Kingdom of God. I finished both of these at about the same time. When it was over, I was, to use the them of the book, radically changed…but now there was a vaccuum. What do I do now to keep this fire going? There are a series of challenges at the end of Radical. One of these is to read the Bible through in one year. I figured that is a great place to start. I had been reading the Bible every day…and after Romans I went to Genesis and started from the beginning. I found a One Year Bible for my ereader and started where I was in Genesis. I was behind in the pacing for the year, but that is not what was important. I just needed to read God’s word, and I wanted to try to do it in a year. I have struggled every other time I have tried this. I get a month or two in, get bogged down in Leviticus, skip a day, then another, then another, until I am just not reading anymore. But this time was different. It is like I can not get enough of it somedays. I will write about this another day. God’s word truly is amazing. I loved it through Deuturonomy, Leviticus, and even Numbers. 1st and 2nd Kings rocked my socks off. God taught me so much. This time, though, it was the the books of Chronicles and the second trip the Psalms that did me in. It was really hard to get through all of the names for the third time in 1st and 2nd Chronicles, and it was basically a rehashing of the books of Kings, but in a less exciting way. I made it through Psalms great the first time, but this second time it has been harder to keep my attention through it. I think one of the major things that got to me was the repetition of “The LORD” over and over through both of them. The Bible started to become impersonal again. It felt like I was disconnected from the words. God must have known this, because a peculiar set of events began just when I about had enough…I was starting to “accidently” skip a day here and there. And it all started with someone making a statement about God on Facebook, but using the name Yahweh. I don’t know why I have been bothered by this. I guess I always felt like when people called God “Yahweh” or even “Daddy” it was more to impress other people than to show honor and depth of relationship with God. I will probably talk about my “Daddy” issues later (calling God that, that is), but this one is about Yahweh. It stuck with me, seeing that on FB. I knew it was none of my business to worry about what other people called God, but I wanted it to be. I know that I needed to deal with this, so I prayed and asked the Spirit to help me let it go. He did not do that. He had another idea. I kind of ended with that. That is until when I came back to reading the Bible that night or the next morning (I don’t remember which). When I started to read and had glazed eyes with all of “the LORDs” I was reading, I felt the overwelming urge to change them all (in the Old Testament readings) to “Yahweh”. I wasn’t sure why, outside of the Yahweh conversation he and I just had. So I did. I totally changed the direction of Bible reading for me. Suddenly verses, especially the Psalms, burst to life. It was personal again. When people cried out to God, they used his real name. He is, afterall, a very personal God. It was (and still is) awesome. Even the books of Chronicles became lively and interactive. It became about a God who decided to lavish his love on a group of people in a personal way, how they kept turning away from him, how he left them to their own devices, how they came to a place where they needed him, they turned back, cried out, and trusted him again…and then the cycle would begin again. It reminded me of my relationship with God. Call me Israel…call me Judah…we have the same story! I am know theologian or Bible scholar, so don’t quote me here. but I did a little research. Apparently, whenever “the LORD” is said in the Old Testament, it is usually in place of Yahweh or Adonai (which I found out that some people think was a replacement for the word Yahweh). The Spirit led me to do something that goes back to the Hebrew text. “The LORD” is “Yaweh”!! How cool! Just because I have this new practice, does that mean the Bible was not personal before…of course not! For me, though, over the years and the common use of the word in church and elsewhere, “the LORD” is a word the lost power to me. I did not see “the LORD” as a personal and intimate reference to God, but a word that made him more distant from me and the world. I needed “Yahweh” take back the power, glory, and majesty of his name back in my life! And, boy, did he. I have not come to the point to using the name Yahweh in prayers, but I think that transformation may be coming. Think about it. 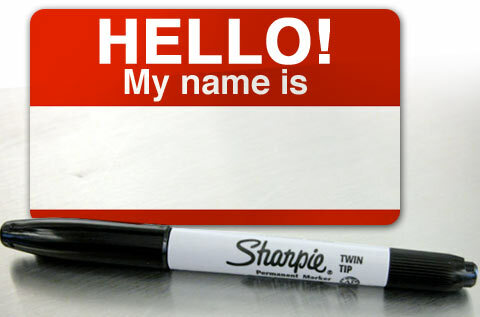 What other “god” has told us his name? This is more than a story about a name. It is about how God, or Yahweh, is a personal and loving God. He gave us his name. His name holds power, but more than that, it shows us that he truly cares about us. He did not tell Moses to tell the Israelites to say “Mr. God” sent him. No, he told him his name. All power and glory and honor to the name of Yahweh! What about you? Has the name of God lost power for you? Has God become impersonal? How has Yahweh become more real and personal to you in your life? I do challenge you to read something in the Old Testamen and change the “LORDs” to “Yahweh”. The Psalms are a great place to try this. Psalm 135. I hope it is as life changing for you as it was for me. Don’t forget to become an email subscriber. Updates will be sent automatically to your inbox!